In this Done-For-You Thanksgiving Content bundle – articles, keywords, and royalty free images, you’ll be able to talk to your audience all about Thanksgiving with information such as budgeting, meals, dessert ideas and online resources. You can use these articles to recommend products and give people ideas on tableware and decor. The great thing about this pack is the fact you can help your audience save money. This is a very stressful time for a lot of people and being able to save on their family gatherings will help their ease of mind. 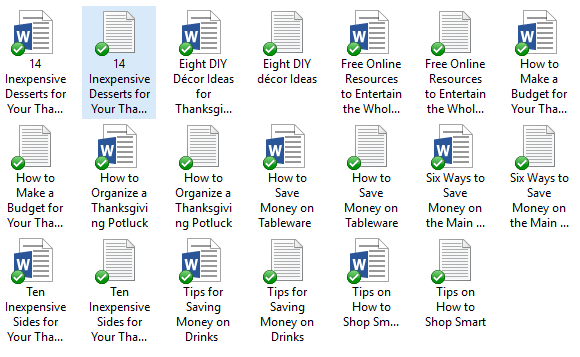 Done For You Thanksgiving Content Bundle will help you bring in a traffic and readers to your blog because you’ll be talking about topics that people are searching for – like how to plan a Thanksgiving meal on a budget and decorate their table too. 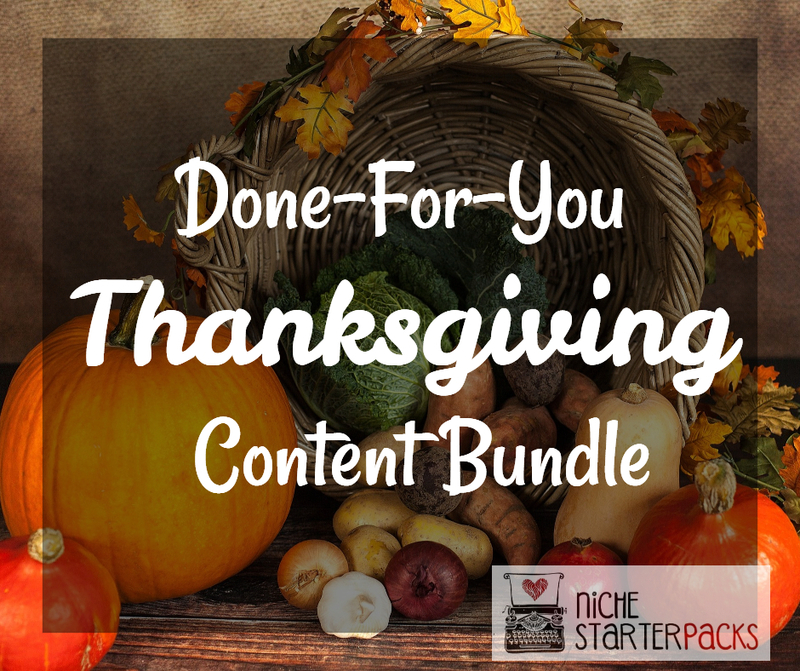 Done-For-You Thanksgiving Content Bundle (Articles, Royalty Free Images, Keywords) – Get It All For $17!